Institutes generally consist of members who are skilled in a certain area often with a degree to their name, creating a group that carry out research on specific topics which are referred to as research organisations (research institution). An institute is a permanent organizational body, or a professional body which allows only professional people to join and become members which is seen as quite an honour to most. Often members are recognised for their achievements throughout the year and awarded in some way for their efforts. 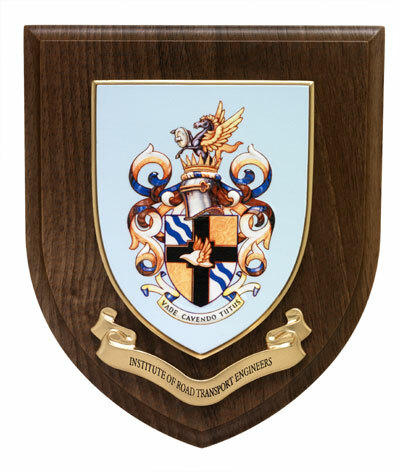 Rowan Heraldic Shields/Wall Plaques are an ideal solution in these situations providing a quality award/gift etc displaying the institutes logo/badge, crest or coat of arms in a most professional way. Heraldic shields/wall plaques are also useful for when it comes to promotional or advertising purposes, providing a product which is compact and above all, eye-catching.